We are providing our clients a wide range of Spiral Bevel & Pinion Gear. In addition to this, our offered products are highly praised by our prestigious patrons for their longer life & smooth finish. Clients can avail these helical gears at most economical prices. We are engaged in manufacturing and exporting an extensive range of Spiral Bevel Gears. 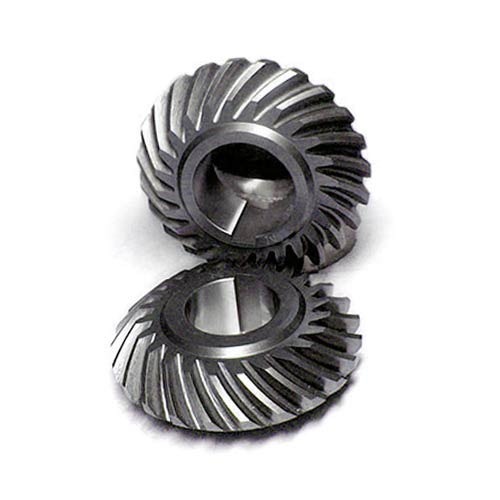 Gear is case hardened and tampered with toughened core for better mechanical properties. We manufacture these boxes as per clients demands. These are highly appreciated by our valuable clients. Looking for “Spiral Bevel & Pinion Gear”?